Beyond the palm-lined icons of the PGA Tour, Florida golf offers a surprising array of styles and scenes. Here are five of the state’s finest overlooked resorts, beginning with a timeless Gulf Coast hideaway, the Gasparilla Inn. Quiet now. We’re going to let you in on a secret. You may think that golfers have been exploring Florida for so long that there is nothing left to dis­cover. You may think it impossible that the state could have a small, elegant hotel with a seaside Pete Dye golf course that you don’t already know about. Welcome to the Gasparilla Inn & Club. If you’ve never heard of it, it’s no accident. For decades, the inn’s proprietors have rather liked it that way. The inn sits on Gasparilla Island, off Florida’s Gulf Coast, about midway between Tampa and Naples. Early last century, a railroad spur pushed through so that phosphates mined nearby could be hauled away. When the phosphates were depleted, the rail line remained, enabling passengers to come, but only a select few people were in the know. Gasparilla Island became a very quiet, very elite winter colony—Palm Beach without the bling, Northeast Harbor with warm, sunny winters. A causeway now links the island to the mainland, and there’s been a small condo outbreak. But the air of exclusivity remains. The Gasparilla Inn, built in 1913, is of a piece with the island. It’s the antithesis of flashy: a rambling, wood-frame building with a plain roof and a couple of royal palms guarding the front portico. The only identifying mark is a banner hanging from a flagpole over the door. For years, the guests tended to be friends of the owners or relatives of people who owned homes on the island. When they checked in, they could refer to a clip­board in the lobby that listed the new arrivals, so they’d know which of their friends had made it down. The inn did no marketing or advertising. The only publicity it received came whenever a society couple was married there and a discreet mention of the wedding appeared in the New York Times. But all things change. The inn’s cover was partially blown by the Bush family, which likes to check in for the week between Christmas and New Year’s. In 2000 the press staked out the inn as George W. Bush mulled his Cabinet choices. Last year, when former President Ford died, George H. W. Bush stood between the pillars by the front door while making his first public statement of condolence. "It’s a really family-oriented property," says Jeb Bush, the former Florida governor. "On a typical day I’ll wake up and go to the village for coffee and bagels. Then fishing. After lunch, golf—I’ve shot in the high seventies on the course, but it’s gotten harder since Pete Dye redesigned it. Then I work out, have dinner and go to bed. It’s not much for nightlife, but nightlife isn’t in my DNA." Another advantage Bush cited: The guests are too sophisticated to show excitement when a former president is in their midst. "We can have Dad to ourselves." In 2002, longtime owner Bayard Sharp passed away, leaving the inn to his daughter, Sarah Farish. (Her husband, Will Farish, was U.S. Ambassador to the Court of St. James, and the Farishes remain good friends of Queen Elizabeth II, who visited them during Kentucky Derby week this past May.) She quickly set to work, revamping the beach club and adding a spa. A few years ago, Dye was hired to blow up the golf course and start over. The course has an uncertain provenance. Its original designer might have been Barron Collier, who purchased the inn in 1930. But Sharp generally ordered changes to the layout each summer, when the inn was closed, so he might be the closest thing to the old course’s architect. When Dye arrived, the course didn’t drain well and the turf suffered from saltwater flooding. Dye replanted the course with salt-tolerant paspalum grass. He also redid the drainage, which enabled him to redesign virtually every hole. He removed a thick row of Australian pines that had been planted years ago along the shore of Charlotte Bay to soak up excess water. Suddenly, the inn had a seaside course, with holes fourteen through sixteen playing along the water. "I wanted to make it a good resort course, one the guests and members would enjoy," Dye says. Indeed, the redesigned course is just what most people would hope for in a winter resort. You reach it from the inn by crossing a bridge that allows tarpon-fishing boats to go from the inn’s marina to the bay at Charlotte Harbor. There’s an impeccable grass-tee practice range and a homey little wood-frame clubhouse. 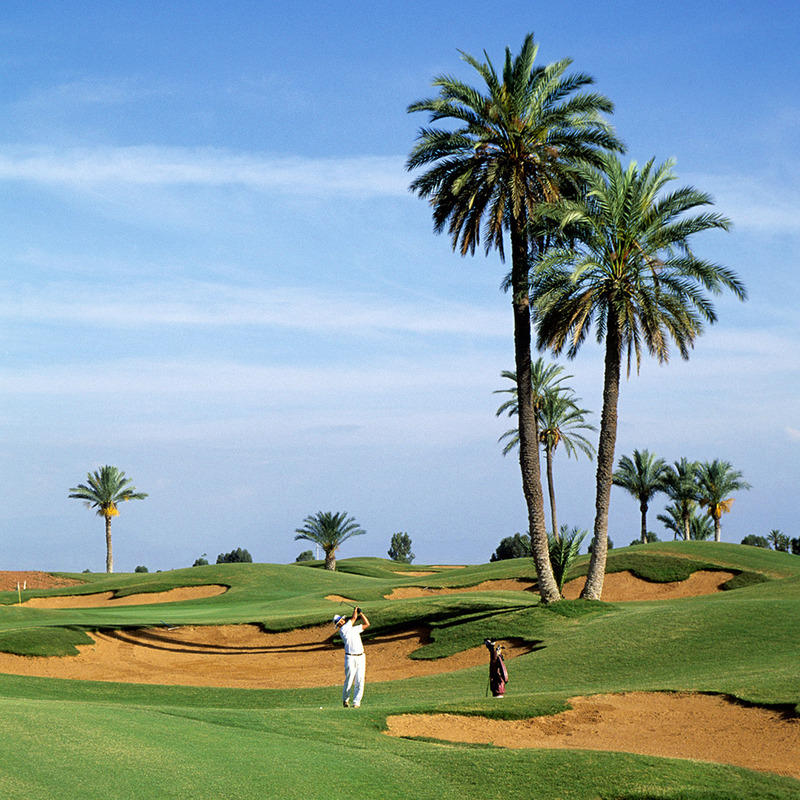 The palm-lined fairways are wide and the rough is mild. But Dye made the green complexes fairly severe, and although it’s not designed to be the site of a Ryder Cup, the course, at 6,942 yards from the back tees, presents plenty of challenge. One of the toughest holes is among the shortest, number seventeen. It’s only 175 yards from the back tees, but there’s water all along the right side and almost no shot at all from behind the narrow green. It’s hard to pull a club confidently when the wind is gusting, as it often is. Best of all, the course is so lightly played that golfers (who must be members or inn guests) don’t need a tee time. They just show up when it suits them. If it’s "busy," the starter sends them to the fourth or tenth tees. The inn could be an ideal site for a winter buddy trip. Half of its 140 rooms are located in cottages that form a horseshoe around the main building. They’re just the right size for a foursome or two. 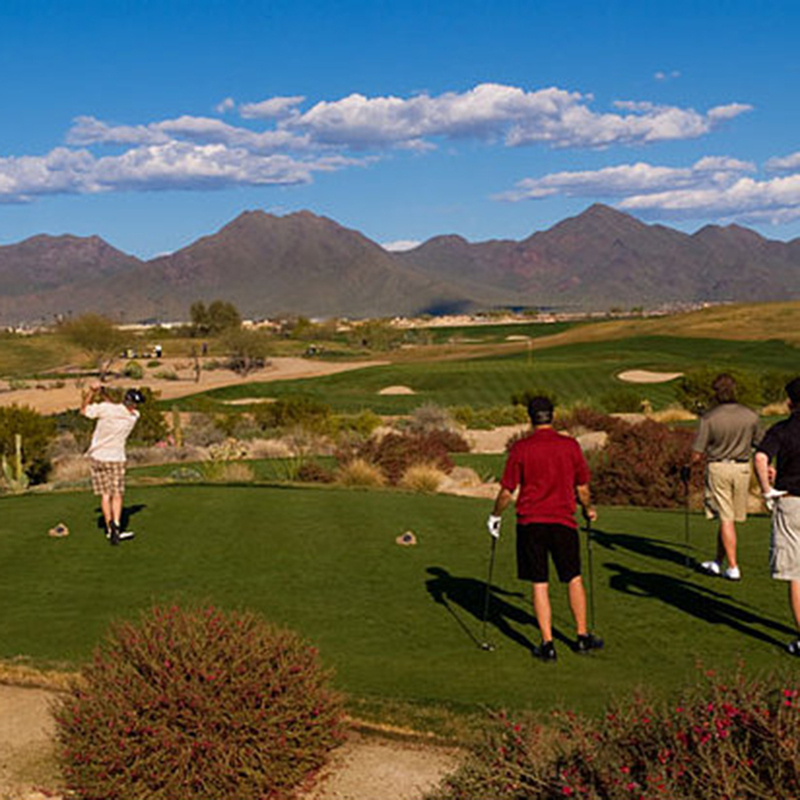 But don’t make reservations if your group’s idea of a golf trip includes a pulsing nightlife. The Gasparilla Inn is miles from the nearest neon. It does have a cocktail lounge, but it’s not one you’d find in the heart of Tampa or Miami Beach. Inside, the inn looks like your grandmother might have decorated it, if she had very good, conservative taste. There’s a grand­father clock in the lobby and a large, stuffed tarpon over the check-in desk. The first floor has several attractive conversation nooks furnished with floral-print curtains and overstuffed chairs in muted pastels. For gentlemen, who must wear jackets and ties to dinner at the resort’s main restaurant, there’s a clubby room in the back with a pool table, leather furniture, paneled walls and a trophy-mounted bobcat over the fireplace. After dinner, the most exciting entertainment might well be a rousing game of table tennis. There’s not much else to do off campus. The only village on Gasparilla Island, Boca Grande (a three-minute walk from the inn), has a few art galleries, some restaurants and a couple of picturesque churches. It’s a place where people fish, walk on the beach and, if they’re feel­ing social, ride their bikes to cocktails at a neighbor’s. Boca Grande has yet to see its first McDonald’s, or, for that matter, a franchise or outlet of any kind. So if you think you could endure a Florida vacation without traffic, stoplights and shopping malls; if you understand that a gentleman never wears socks with Top-Siders; and if you can refrain from calling ahead weeks in advance to secure an acceptable tee time, the Gasparilla Inn could be just the right slice of Florida for you. Just don’t tell anyone else about it. When the majestic Belleview Biltmore Hotel opened in 1897, it was the largest occupied wooden structure in the world, a distinction it’s still believed to hold. Built by railroad tycoon Henry Plant, the hotel (not to be confused with the Coral Gables Biltmore; see page 50) came to be known as the White Queen of the Gulf. Each winter it hosted luminary families such as the Fords, the du Ponts and the Vanderbilts. By 1924 the hotel had expanded from 145 rooms to 425 rooms (it currently operates 246 of them), but in the following decades the property slid more than once from boom times to depression and back again. A new owner purchased it in June, saving the hotel from demolition, and has promised a multimillion-dollar restoration. Donald Ross designed twenty-seven holes (and later added nine) on land adjacent to the hotel, as well as a separate eighteen-hole course called the Pelican Golf Club several blocks south. Until the 1980s, most guests played at the original thirty-six (now the private Belleair Country Club). 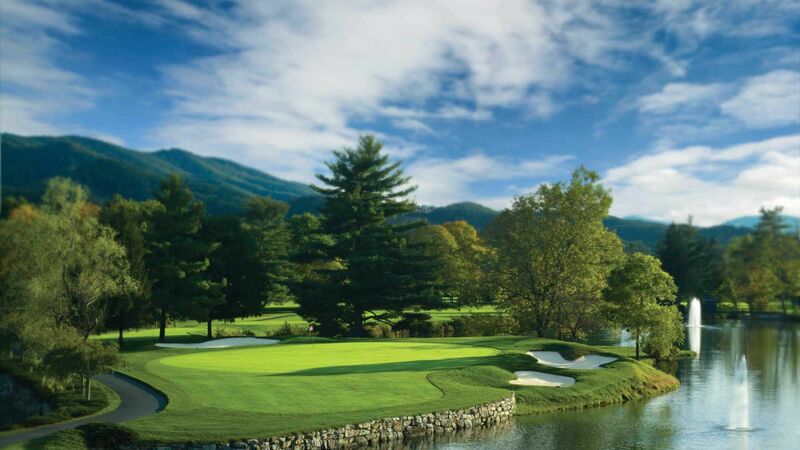 It was then that the hotel renamed the Pelican club the Belleview Biltmore Golf Club and made it part of the resort. In 2001, the course underwent a restoration. 25 Belleview Boulevard, Clearwater, Florida. Architects: Donald Ross, 1925; Chip Powell, 2001. Yardage: 6,614. Par: 71. Greens Fees: $45–$90. Rooms: from $99. Contact: 800-237-8947, belleviewbiltmore.com. This thirty-six-hole resort is only a forty-five-minute drive northwest of Orlando, but it feels much farther afield than that thanks to its location in a sleepy lake region of central Florida. Its Mission-inspired architecture of villas, courtyards and gardens will have you relaxed and thinking of a siesta the moment you arrive. 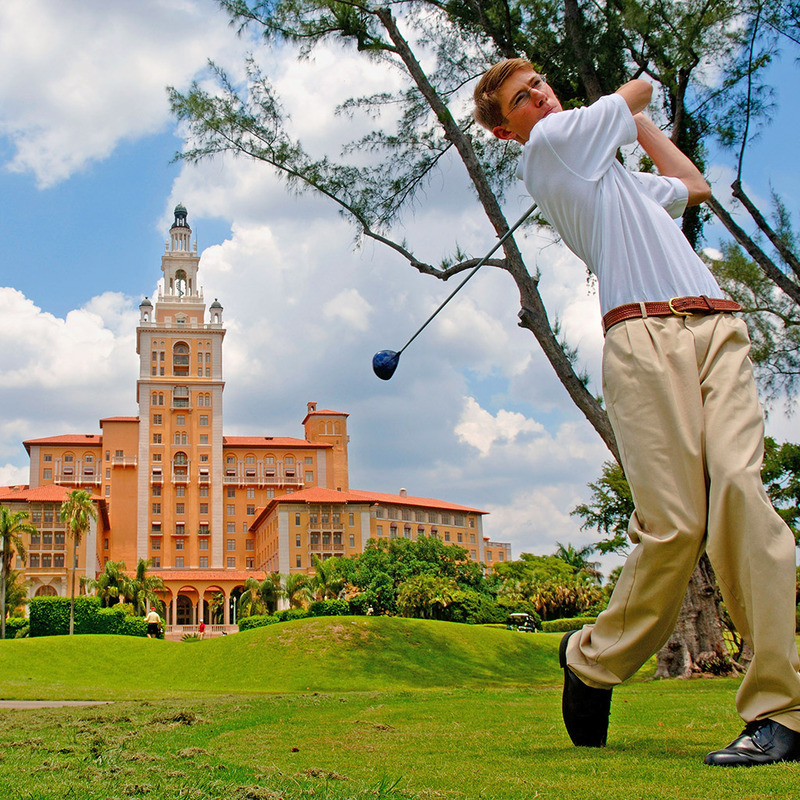 The original course, El Campeón, is believed to have opened in 1926 as the Floridian Country Club. It is still officially the design of a Scotsman named Charles Clarke, but recently discovered materials suggest the layout was the work of American George O’Neil a decade earlier. The resort dates to 1970, when a commodities broker from Chicago who had purchased the property after seeing it advertised in the Wall Street Journal, opened its first lodging, a sixty-four-room hotel. His family still owns Mission Inn today. 10400 County Road 48, Howey-in-the-Hills, Florida. Rooms: from $165. Contact: 800-874-9053, missioninnresort.com. El Campeón Architect: Charles Clarke, 1926. Yardage: 7,003. Par: 72. Greens Fees: $75–$150. Las Colinas Architect: Gary Koch, 1992. Yardage: 7,217. Par: 72. Greens Fees: $75–$150. With so many options to choose from, golfers looking for a quality experience in greater Orlando run the risk of menu fatigue. Like diners navigating a lengthy wine list, what players actually want is something that stands out from the rest. Mystic Dunes, located just beyond the glow of Walt Disney World two miles away, is our sommelier’s choice. It is distinguished by its rough-and-tumble terrain, the result of enormous prehistoric sand ridges that cut north-south through central Florida. Its Gary Koch–designed course plays rhythmically between two distinct landforms, one featuring gradual elevation changes and sandy soils supporting native grasses and scrub, the other a lower-lying wetland area. But what makes the course really pop are its wild putting surfaces. These three-dimensional forms can rise or fall six or more feet from one edge to another—with hollows, spines and separate tiers in between. The green surrounds are equally complex: cut into slopes with shaved run-offs, mown at fairway level or built up by gaping bunkers. Because the greens create so much drama, the fairways, often sloping and interrupted by waste areas, are kept comfortably wide. The front nine rims the central wetland, and the back carves through the dunes, showcasing some of the course’s greens, including those at the short par-four fifteenth and the 249-yard par-three seventeenth. 7850 Shadow Tree Lane, Celebration, Florida. Architect: Gary Koch, 2001. Yardage: 7,012. Par: 71. Greens Fees: $85–$175. Rooms: from $193. Contact: 866-311-1234, mysticdunesgolf.com. Although tens of thousands of visitors pass through the state capital each year for a variety of purposes, including legislation, lobbying and college football, golf has not typically been one of them. But given the caliber of this Fred Couples and Gene Bates design—one of finest in northwest Florida—that is clearly an oversight. What’s more, for the first time since it opened in 2002, SouthWood now has on-site cottages open to the public. In both climate and culture, Tallahassee has more in common with its northern neighbors than it does with much of its own state. From the hardwood trees and long, sloping hills to the plantation-style clubhouse, the course spreads out like a snapshot of the Deep South. Holes wend up and down hillsides, fairways course through open meadows and shaded groves, marshes encroach on each of the first four holes, and players must maneuver the ball around massive sentry oaks. SouthWood, the home course of the Florida State University golf teams, is an aggressive-driver’s dream. Some holes call for drives that favor one side of the fairway, and others challenge golfers to carry center-line hazards. 3750 Grove Park Drive, Tallahassee, Florida. 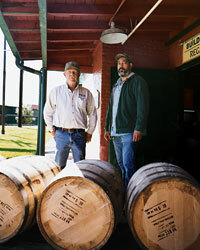 Architects: Fred Couples and Gene Bates, 2002. Yardage: 7,172. Par: 72. Greens Fees: $55–$75. Rooms: from $199. Contact: 850-942-4653, stjoegolf.com.